Last night Alane and I saw a Taste of Sunrise at the Wheelock Family Theatre in Boston. It’s a play about a young deaf boy growing up in rural Illinois at the time of the Great Depression and it’s performed by a mixed cast of deaf and hearing actors and it’s about living in and between those two worlds. 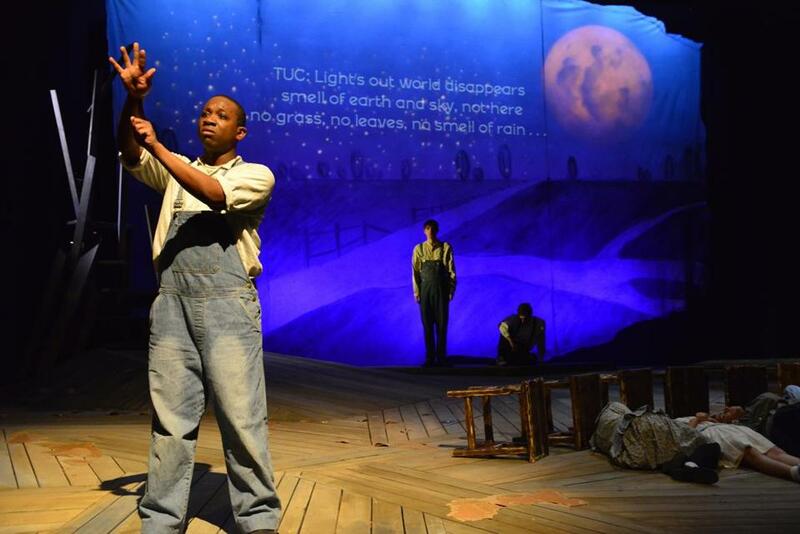 It is the kind of performance where you are not watching a fiction–even though it is that with some great performances, particularly Elbert Joseph as Tuc–but instead you are with these people experiencing the world anew. Actors speak the lines that are signed; other actors sign the lines that are spoken; the signing is woven into the action of the play making almost every word an action brings an intense energy that brings each member of the audience into the action aware of her or his hearing or deafness. To help out even further there are surtitles (the lines of the play projected on a screen above and behind the actors). This a play to be experienced, and the chance to catch it is next weekend Friday at 7:30pm and Saturday and Sunday at 3 pm. The theatre needs to be full, and it’s a chance not to be missed. We have already missed the first of these three plays being performed as The Ware Trilogy that played at Emerson Stage at the end of last month, and once you have seen this, you will want to see part three The Edge of Peace, also starring Joseph, which will be at Central Square Theater; April 3-5, and 9-12, 2015.